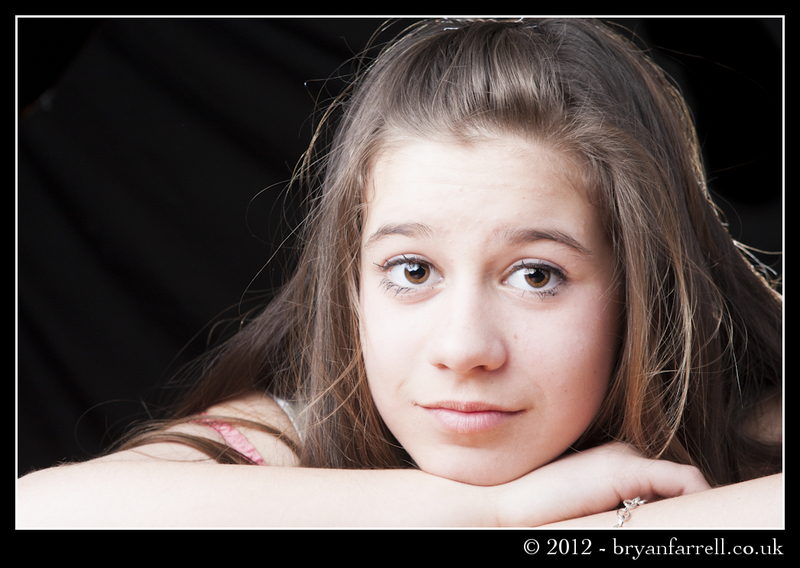 My beautiful daughter has always been my willing model so when she came to me and asked for a photoshoot and to be featured on my blog and web site I could not and would not refuse her. 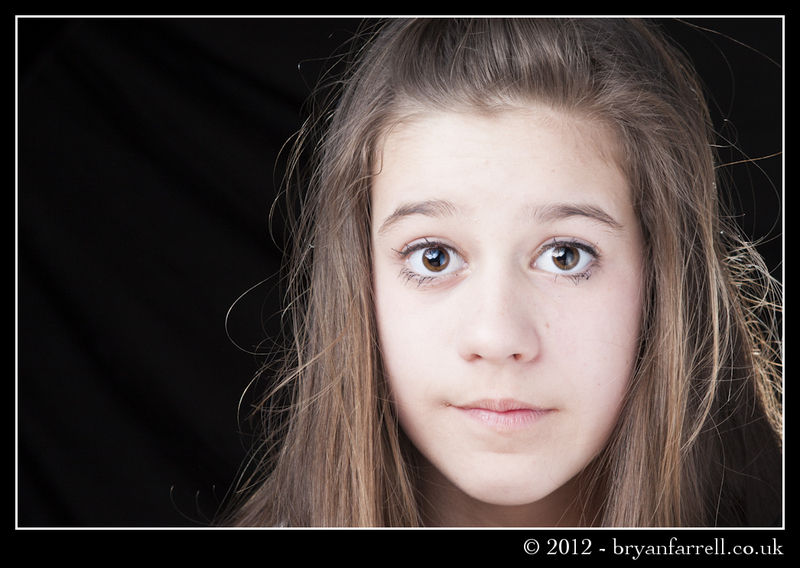 She is only a small step away from becoming a teenager and the hormones sometimes show, although most of the time her loving caring nature is what we get and not too many: looks, huffs, strops and stromps. 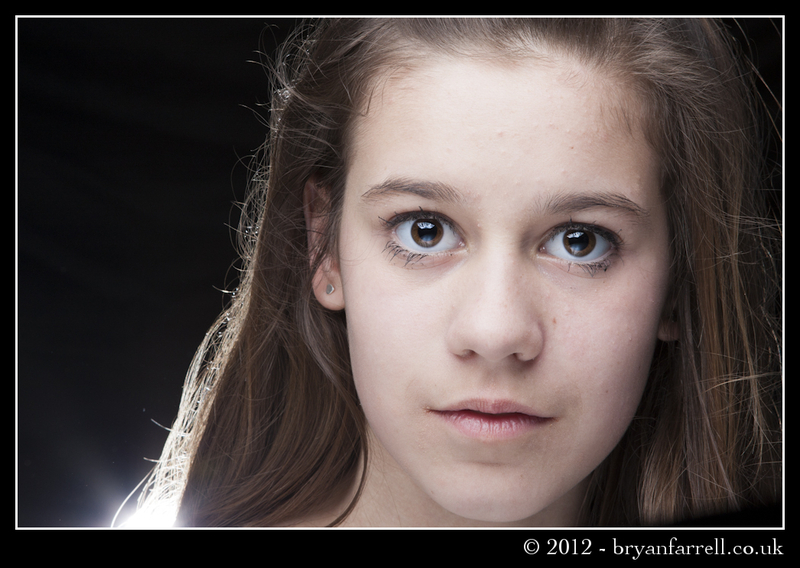 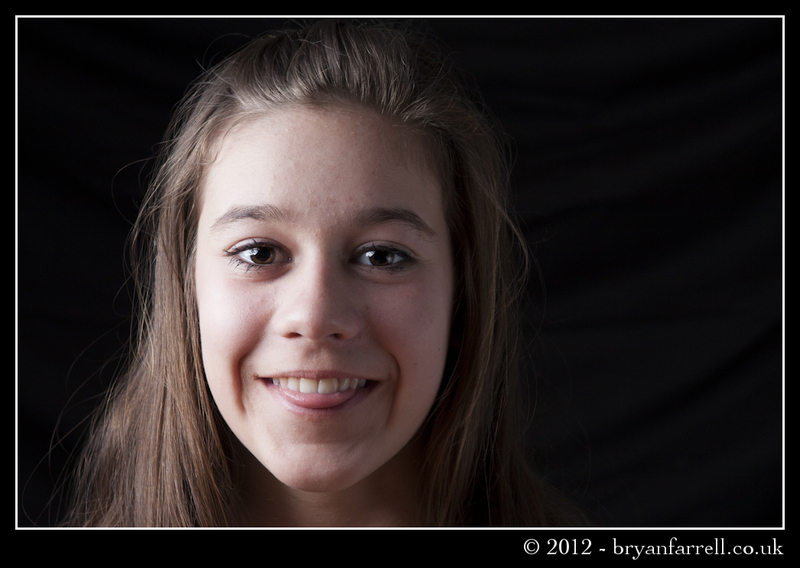 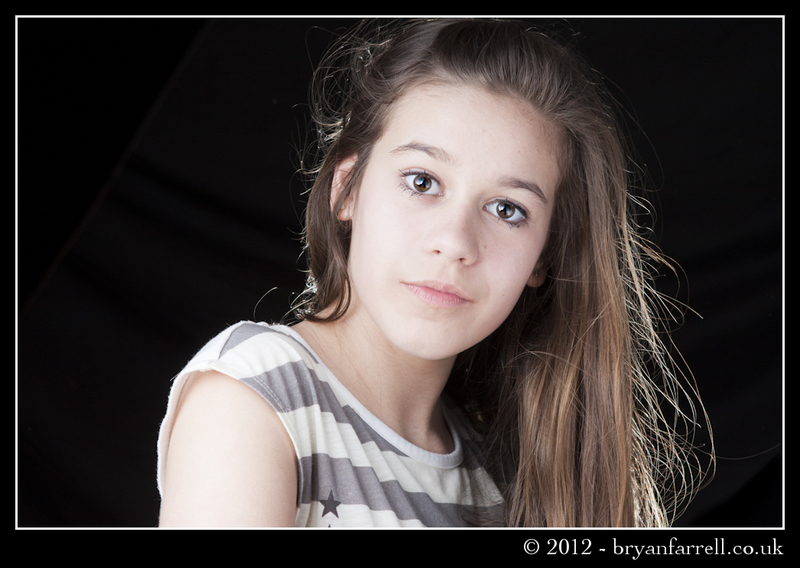 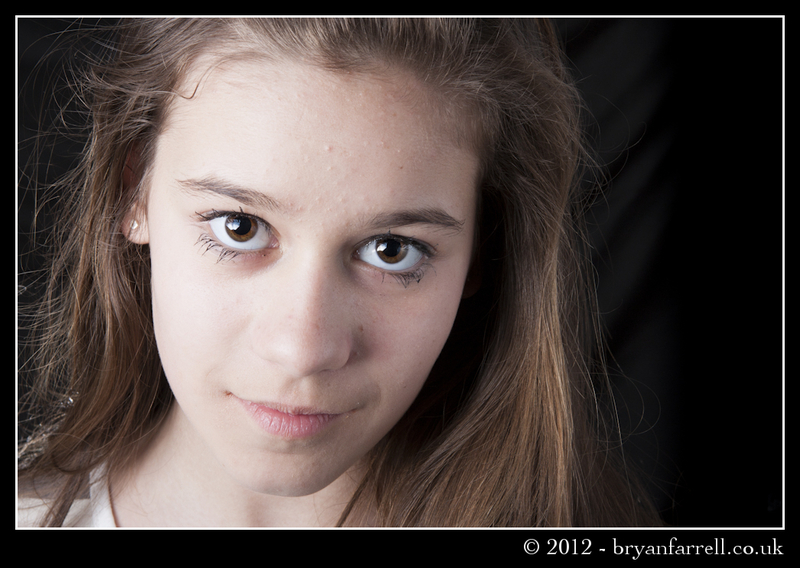 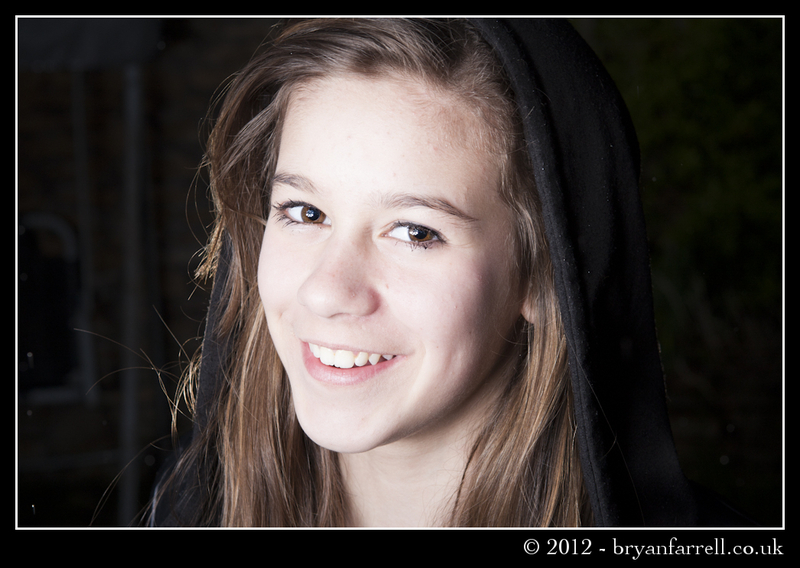 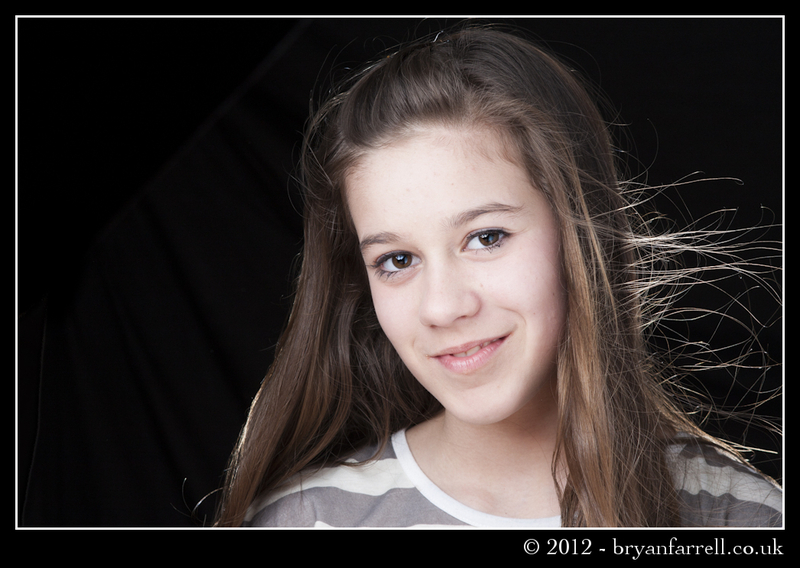 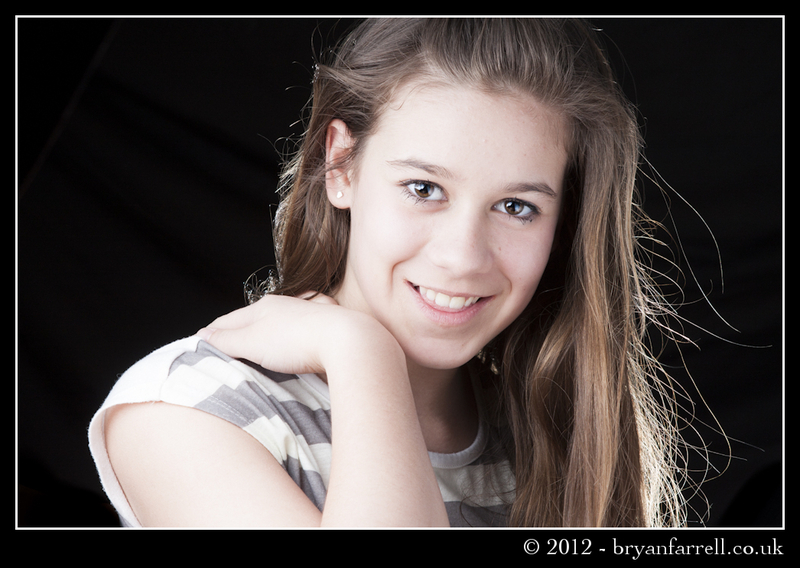 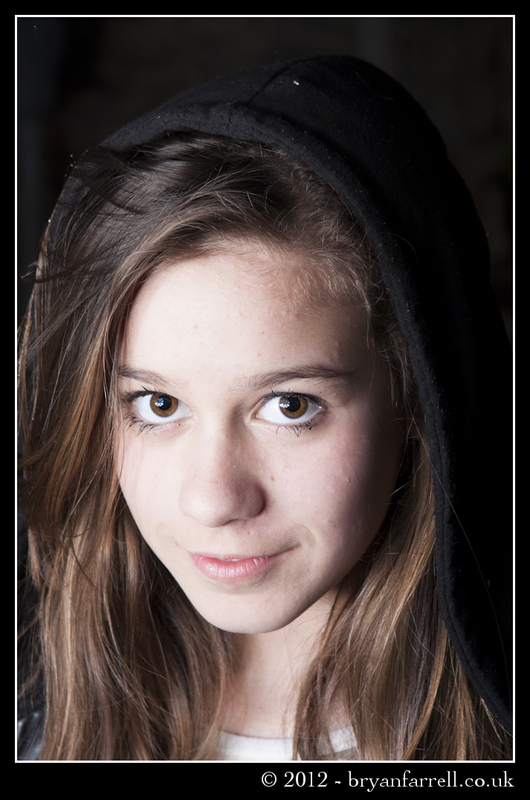 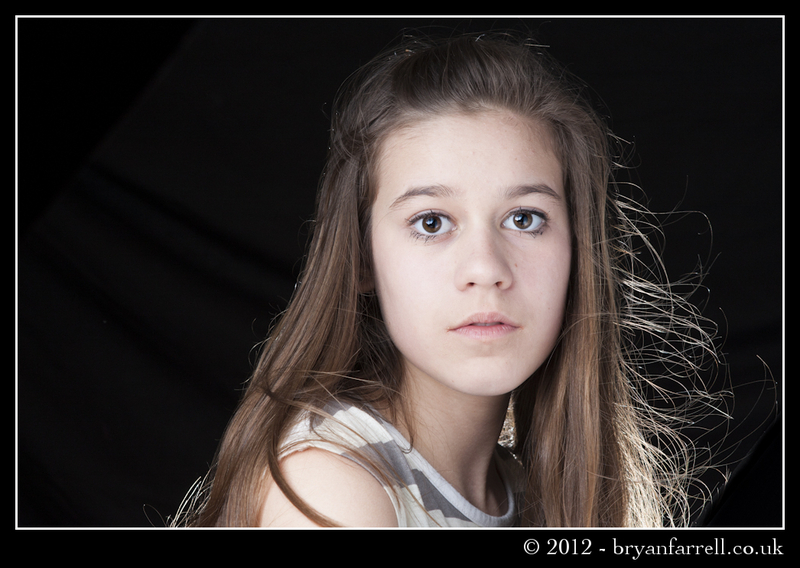 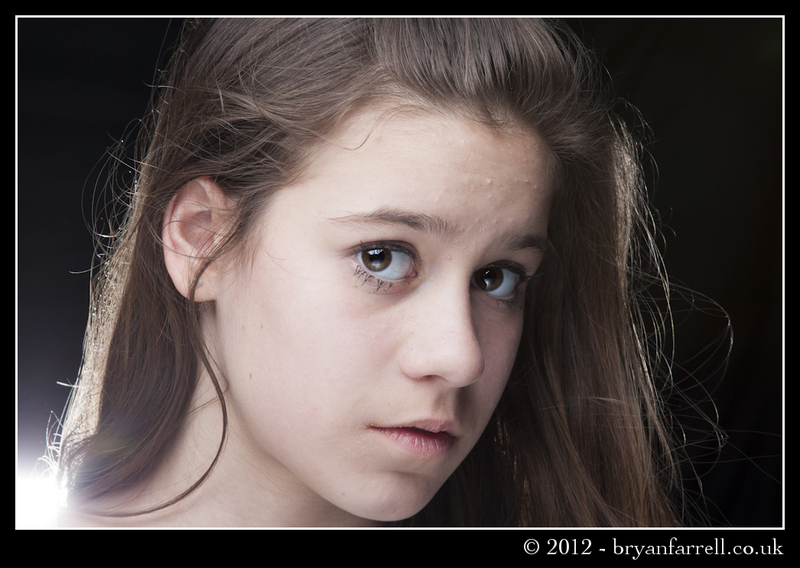 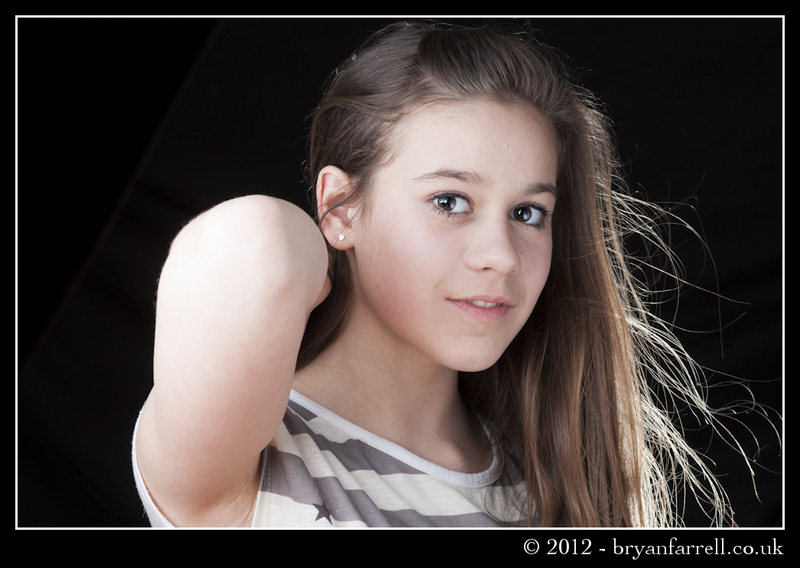 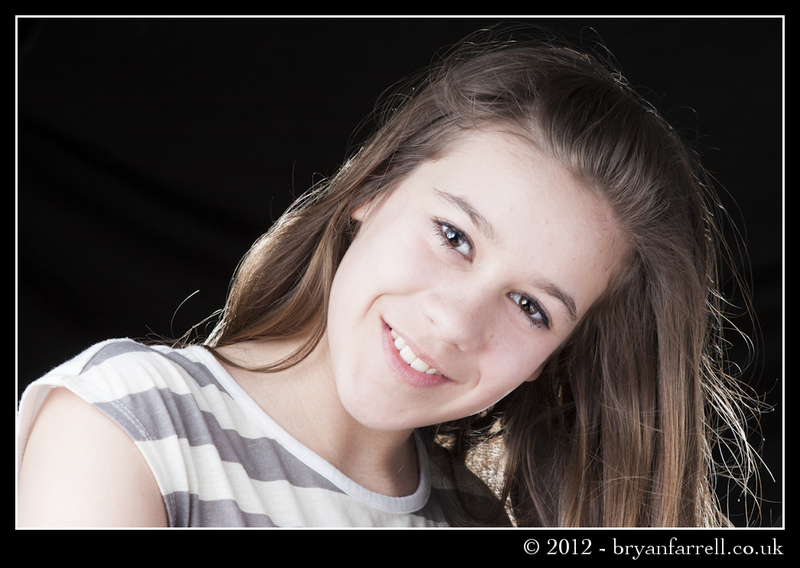 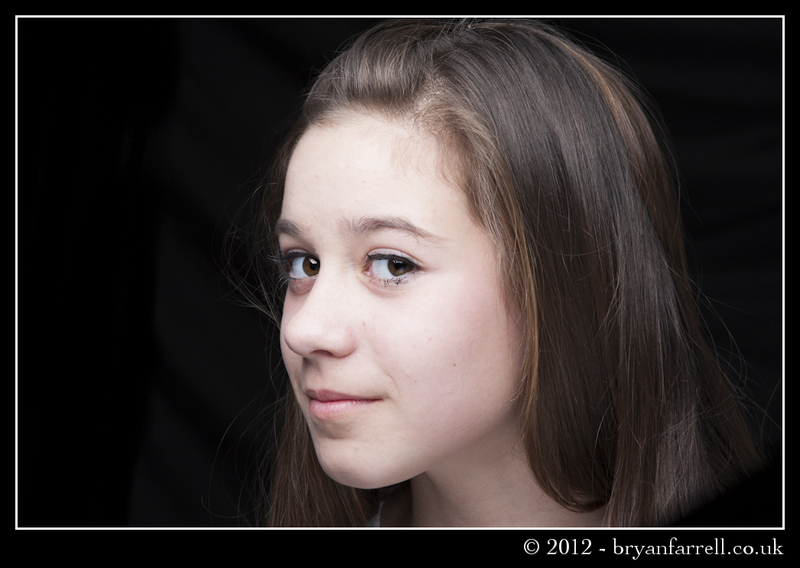 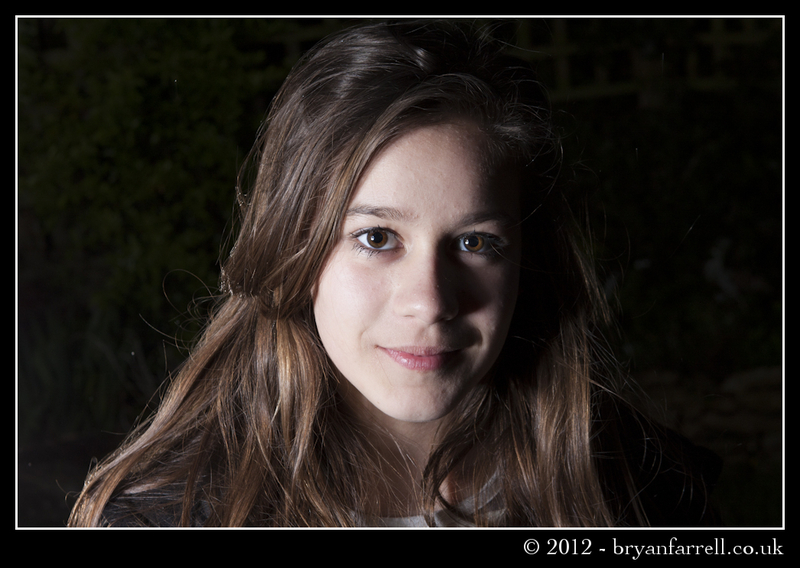 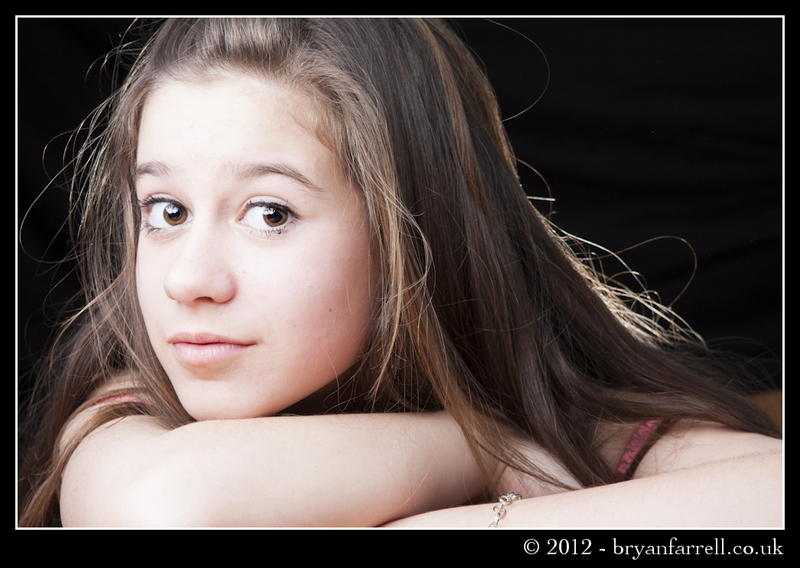 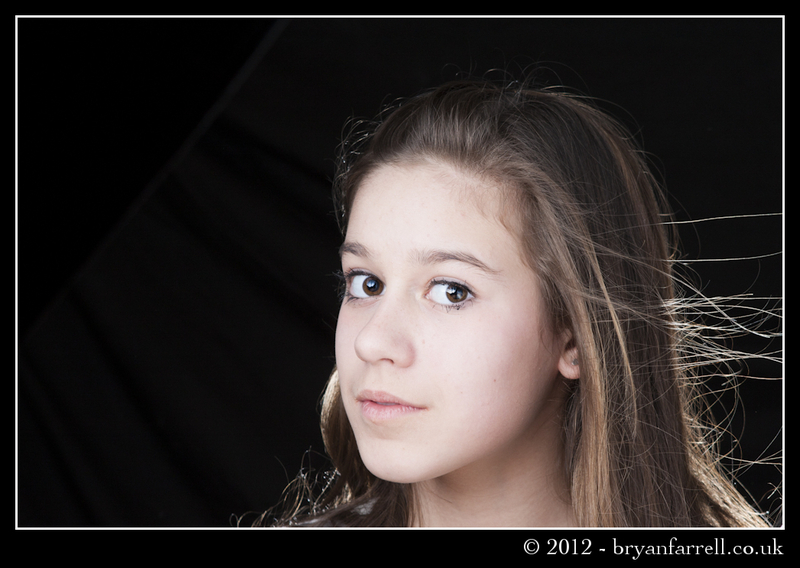 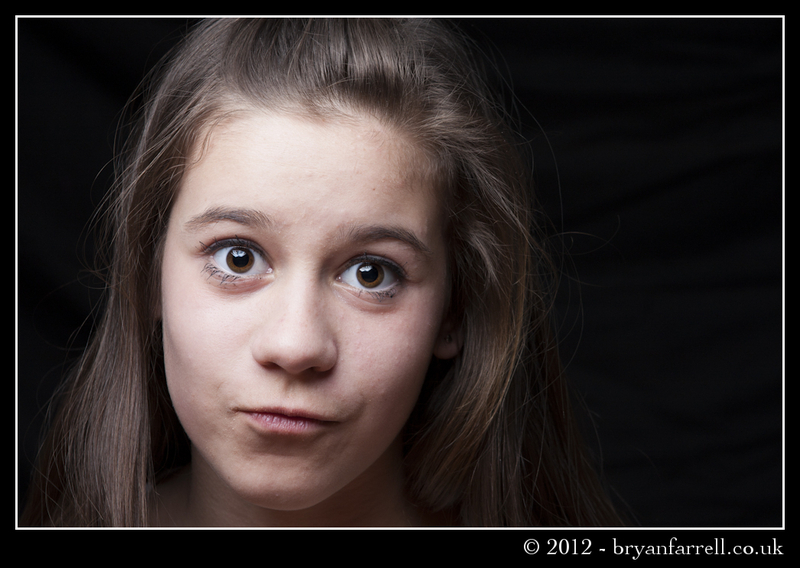 We made a simple set up with one main light, a reflector to fill and a back light and took some head shot type pictures. 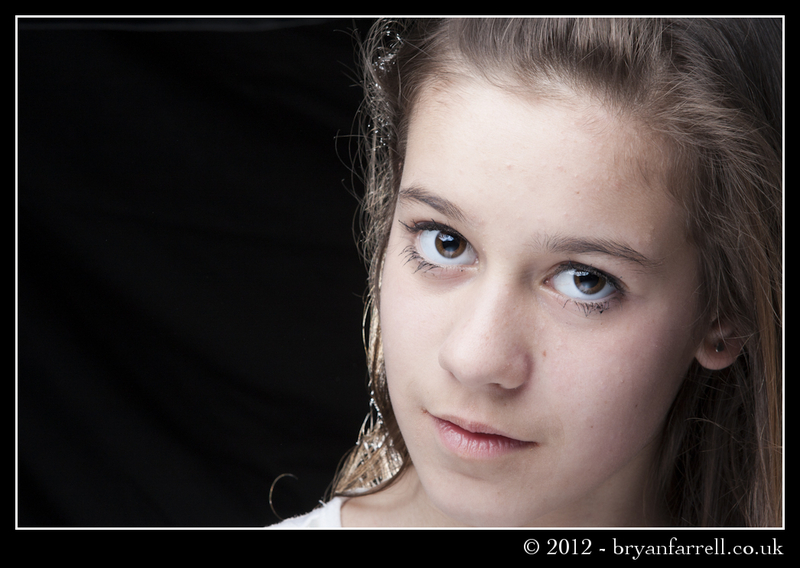 To add a little interest to some of the shots we put a small table fan next to her to create a little movement in her hair and we snapped away. 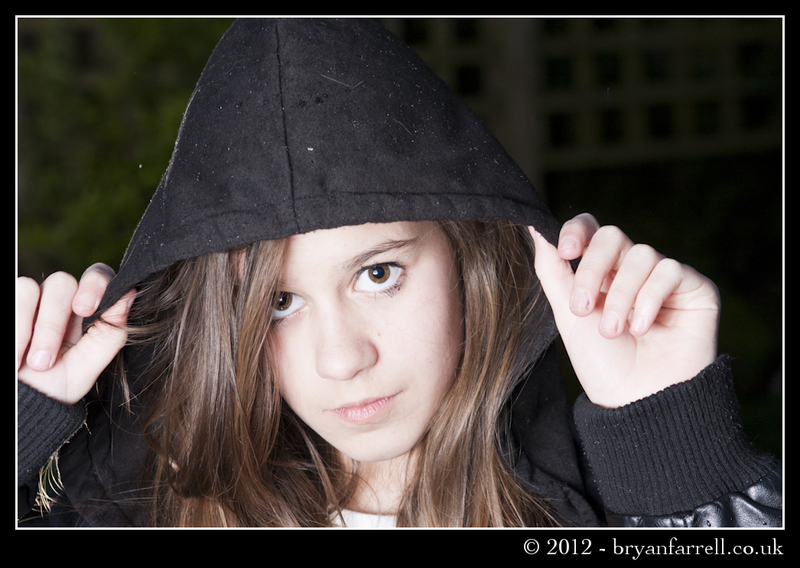 As we were packing up it started to rain heavily so we quickly set up out side and took a couple of shots in the rain just for fun. 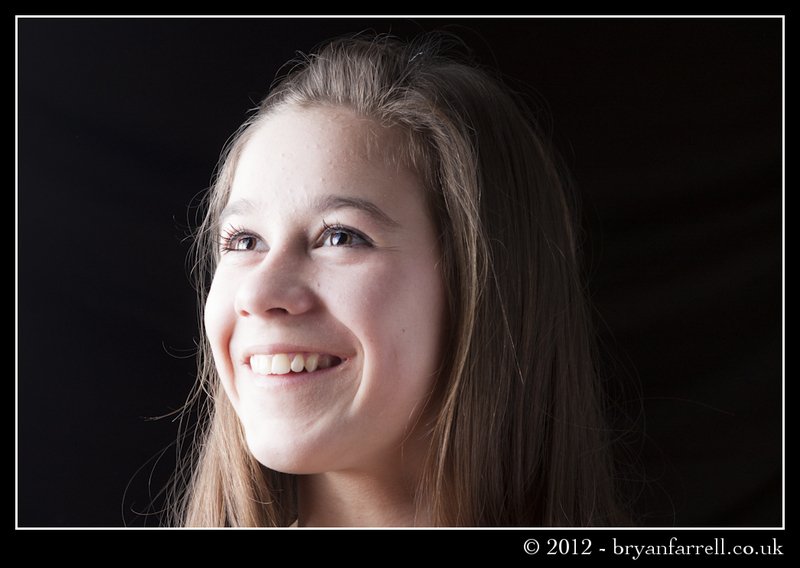 Other than a little crop on a few to remove the reflector from the frame the images are pretty much straight out of the can.